This is one kind of blepharoplasty, Asian double eyelid surgery. Also known as the ‘pinch method’, double eyelid non-incision surgery involves using minute openings made in the eyelid. Korean doctors use a special method that leaves no scarring and lowers the probability of requiring revision surgery. This is one type of blepharoplasty, Asian double eyelid surgery. Partial incision blepharoplasty involves making a tiny incision and removing excess fat and muscle tissues. The double eyelid created is long lasting, with minimal scarring and swelling. Eyelids containing excess fat and muscles undergoing the non-incision method may come undone, therefore partial incision is superior in this case. Epicanthoplasty makes a tiny incision on the inner fold of the eye and sutures inside leaving no scars. The fold that covers the inner corner of the eye is colloquially called a 'Mongolian fold.' This can make eyes appear far apart and give a stuffy impression. Through epicanthoplasty we can increase the length of the eyes giving a clear and smooth eye shape and softer facial expression. Lateralcanthoplasty is a type of blepharoplasty and is well suited for eyes of short length as well as eyes possessing raised outer corners. This surgery can also be called Hotzcanthoplasty when dealing with the outer corners of the eyes. We can help you attain more beautiful eyes especially while smiling. This surgery in conjunction with double eyelid surgery will provide even better results for Asian eyes. Eyes that expose 80 to 90 percent of pupil are considered beautiful. With ptosis, however, both upper and lower eyelids cover pupil by 1 to 2 mm. Double eyelid surgery makes eyes look bigger, which is usually an illusion effect. However, the effect is not enough for those with ptosis. Double eyelid surgery sometimes does change eye shapes, but fail to change the width of eyes in most cases. Accordingly, ptosis repair aims to further expose eyes and open wide while double eyelid surgery can limitedly change the expose of eyes. This procedure is for people with thick or fat abundant skin, or with very saggy eyelids. As we age, our skin’s elasticity decreases and our eyes can become droopy. Upper blepharoplasty corrects this by removing skin and tightening the forehead, eyebrows, and eyelids reversing the effects due to aging in one step. This gives a youthful appearance with a clear, well defined eye shape. You can also get Asian double eyelid surgery in conjunction with UB, but it is not a requisite. As we age, the fat present under the eyes begin to droop causing a swollen and older appearance. This leads to wrinkles under the eyes and ultimately a fatigued expression. Through lower blepharoplasty, droopy skin and fats are removed, reducing wrinkles and giving a brighter facial complexion. Also known as lower blepharoplasty, this surgery is intended to correct the bags that form under the eyes with age. When young, a bit fatty lower eye bag gives a cut look. However, such eye bags come lower as aging which gives dark impression and causes dark circles under eyes. This surgery can fix the problem. There are two big categories: one is cases with only fatty eye bags and the other is fatty eye bags with eyelid laxity. Depending on individual needs the unnecessary fat can be removed or repositioned. Dark circles are the usual culprit for dark bags under the eyes. They can make you look older and fatigued. Sometimes, dark circles get severe enough that surgery is necessary. There are several causes for dark circles. Generally, the bone underneath the eye, pigmentation discoloration, and fat underneath the eyes. Doctor selects the corresponding surgery for specific causes through consultation. Some people possess plump areas under their eyes which are colloquially called 'love bands.' These can give a cute and youthful appearance to your face. Surgeon can help you attain them through fillers or fat injection. A brow lift involves tightening the forehead and eyebrows to counteract the effects due to aging. While similar to upper blepharoplasty, an eyebrow lift is applicable for those who have thicker skin. After this procedure, line of sight will be increased and you can comfortably open your eyes without causing wrinkles. This procedure also takes care of all worries at once such as Having an older appearance or eyelashes poking the eyes. When eyelid surgery or blepharoplasty is not properly done, revision surgery is required to get desired eye lines and results. A well experienced surgeon is required when undergoing this procedure, to prevent any future revision surgeries. Also called tip rhinoplasty, this nose job deals with unsatisfactory nose tips. The nose tip shape can make or break surgery results and satisfaction. Sophisticated impression is not given if the nose tip is lower, but the face looks younger than the actual age if the nose tip is aloft. This operation is executed where a shape of the nose tip is lower but the height of the nose ridge is good. Asians with a blunt nose tip can give off an unsophisticated or plain appearance. 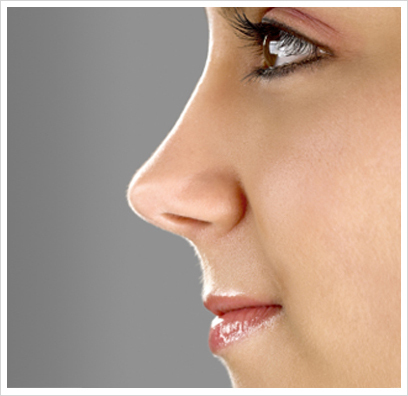 Blunt nasal tip rhinoplasty can remedy this to give you a sharp and refined look. Many Asians get blunt tip correction in Korea and are very satisfied with the results. Also known as Dorsal augmentation, this nose job deals with unsatisfactory nose. The nose with a low ridge is a typical nasal shape of an oriental. This operation to raise the ridge of a nose while raising the ridge by generally using filler injections or self-organization is called as nasal augmentation. In the past, a sharp Western nose was preferred. Nowadays a nose based on existing individual facial features is most important. And the nose tip is operated together as well as the ridge of nose so that prettier shape of the nose is made and harmony with the face is also achieved. An aquiline nose gives a strong impression to ambient people because the middle portion of the nose bridge is bulgingly protruded as all septum cartilages of both nose bone and the nose abnormally grow. If the nose is short, the nose tip is laid up and the nostril may be shown, called as an upturned nose or a short nose. This case is equivalent to most difficult operation in the nose plastic operation. The operation is classified into two shapes. The first case is a case that a nostril is shown in the front because the nose blade covering the upper part of the nostril. Secondly case is a case that the ratio of the nose in the face is relatively low and that the nose is short and shown up as the growth of the nose is poor. A crooked nose or a bent nose is one in which it is curved to one side. Physical ailments such as nasal obstruction, chronic headaches, and other related nasal ailments can occur due to a curved nose. This nose job corrects physical ailments as well as improving aesthetic looks. A typical Eastern has mainly low, blunt nose ridge. It is felt that only a nose shows at the face. The nose is not cubic and a slim type of nose because the bone at the middle part of nose, more accurately speaking, the part where some of the face bone (the upper jawbone) meet with the nose becomes thick or wide. A nose bridge can appear wide due to thick skin causing a wide nose appearance. This nose job pushes nasal bone toward the center creating a sharp, slim nose bridge. The arrow nose refers to a case that the nose tip goes down too many and looks like an arrowhead. This case is featured that excessive growth of the cartilage supporting the majority of the nose hole is observed, and the arrow nose may give a sharp or not-soft impression as the nose looks long. Enlarged nostrils or wide appearing nostrils can give the nose an unrefined look. Wide nosewings make the nose appear flat regardless of the height of the nose bridge creating unattractive appearance of overall face. Through a nostril reduction, it can make your nose much more attractive. A square jaw is when the lower jaw bone’s size is wide and causes a square appearing face. Specifically the bone beneath the ear can cause a face to appear bigger. Maxillofacial square jaw reduction surgery is required to remove the angular jaw line and create a slender V line. Korean hospitals cheekbone reduction (zygoma reduction) expands on existing jaw and chin surgeries. Surgeons have over 20 years of experience. The zygoma is fractured and pushed back, and the fractured zygoma’s circumference is carefully trimmed and rotated to bring a more natural cheekbone reduction effect. Chin surgery corrects an over/under bite by decreasing or extending the chin length. Jaw surgery involves moving the jaws forward and backward. These surgeries combined make up maxillofacial surgery. Through implant insertion or fat grafting, this surgery can get you a satisfactory jaw line and chin line. Usually someone with an advanced jaw line has their cheekbone protrude as well. In this case, normal square jaw or cheekbone reduction surgery alone is not enough to provide slimming effects. The total maxillofacial or two jaw surgery not only deals with slimming the face contouring but creates slender jaw line reduction and a youthful appearance. A forehead that is flat or has sunken bone is given volume through fat grating or forehead implants. Forehead contouring not only focuses on the middle of the forehead but includes forehead, cheekbone, nose and chin area lines. You can appear younger through this total facial procedure by removing forehead lines and forehead ridges. Usually a small, recessed forehead can give off a manly appearance. In this case, a forehead augmentation will create an attractive appearance.